Which Are The Best Horse Bits On The Market? A horse bit is sometimes necessary to have control over your horse and to direct them. However, an inappropriate horse bit can cause your horse a lot of pain. You need to make sure that you get the perfect bit for your horse. 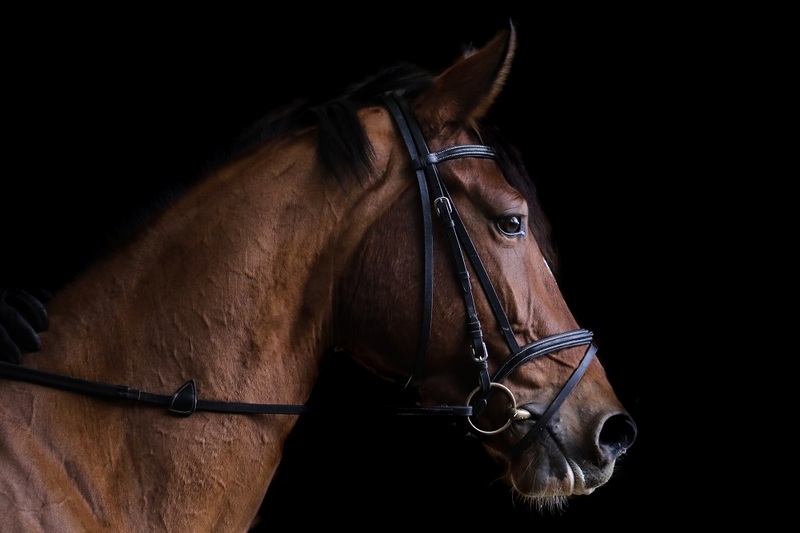 When you ride with a bit, you need to keep in mind that even though the bit may be gentle, it is still an object that is new and uncomfortable that is put into your horse’s mouth. Some horses may adjust to it and others may rebel if they find it too uncomfortable. Today, we get pinch less bits in the market which help you to direct your horse with pressure rather than pain. We also get great bits for petite horses or ponies which have small mouths and bits for horses with gentle mouths. 2.1 1. What kinds of problems can the wrong bit cause? 2.2 2. How do you decide what kind of bit to use? 2.3 3. How do you know the right size of bit? 2.4 4. How do you measure for proper fit? 2.5 5. How do you select the right mouthpiece? 2.6 6. How do you know if the mouthpiece is comfortable for your horse? 2.7 7. What ring shape is best for a snaffle bit? 2.8 8. How do you know if you need a stronger bit? 2.9 9. Which bit is best for training? 2.10 10. Why choose a stronger bit? 2.11 11. Should you always use the same bit? 2.12 12. Are different bits meant for different types of riding? 2.13 13. Can you train your horse without a bit? 2.14 14. Can you show and compete with a bitless bridle? The Robert Pinch less Bit for walking horses is a patented idea which is a bit that doesn’t pinch the mouth of your horse or cause it any pain. Most bits work on the concept of creating pain or creating the anticipation of pain due to which your horse obeys you. The David Robart bit instead corrects your horse by pressure rather than pain. Pain-free: Deliberately hurting your horse is an inhumane thing and for hundreds of years, bits were used to make your horse obey you, using pain. The Robart Pinch less Walking Horse Bit uses pressure rather than pain to make your horse obey commands. Great for gaited horses: The bit is perfect for a gaited horse, especially for a loose gaited horse. Can’t use for horses with sensitive tongues: Make sure that your horse doesn’t have a sensitive tongue before you buy it. When it comes to a bit which is painless, the patented Robart Pinchless Walking Horse Bit is the best in the market. It is easy to use and your horse will love it. It is great for gaited horses. Many horses rebel against normal bits but not the Robart bit. Your horse won’t fight this bit nor will you lose control. The Korsteel Eggbutt Snaffle Copper Roller Bit is a very mild bit. It is wide in design so that it is gentle on the bars of your horse’s mouth and it will not pinch their mouth. The copper roller in the bit is something that horses love to play with. It keeps them occupied especially if you are trail riding. Gentle bit: The Korsteel Horse Bit is a very mild and gentle bit so that it does not pinch the mouth of your horse. The wide design helps in reducing any discomfort. Copper roller: The copper roller helps to keep your horse entertained when you are going for a long trail ride. Strong and durable: The bits are made of stainless steel so they are strong and very durable. However, even though it is made of stainless steel, it has a good design so it is comfortable for your horse. Fast shipping: There were many reviews online about the speed of the shipping. Many reviewers got the bit many days in advance. Great for sensitive mouths: If your horse has a sensitive mouth then the Korsteel Horse Bit is a great option. Your horse won’t rebel against it as it doesn’t hurt the mouth due to its excellent design. Pinch based: Unlike the pinch-free option above, the Korsteel Horse Bit even though is gentle, still uses pain to direct your horse. The Korsteel Horse Bit is a strong and durable bit made of stainless steel. It has a great design which is wide so is very comfortable for your horse’s mouth. The copper roller is entertaining for your horse and it keeps your horse occupied. When it comes to price, the Intrepid International Jointed Kimberwick Bit is an excellent purchase. It is strong and made of stainless steel. It can be used as a curb bit or as a snaffle. 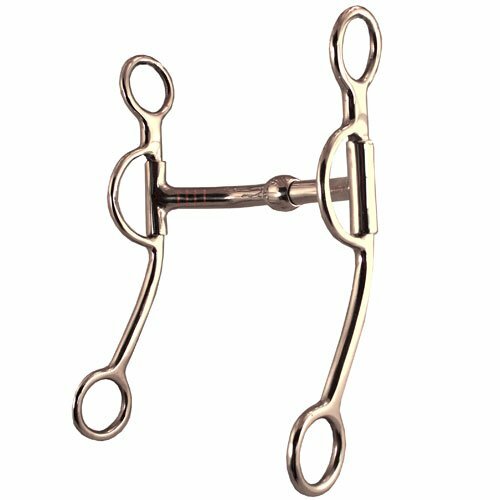 Price: Among the high-quality bits in the market, the Intrepid Horse Bit is a very competitively priced bit. It gives you the durability and the strength of a great bit at a very reasonable price. Quality: The Intrepid Horse Bit is made of high-quality German steel or Coronet and Korsteel stainless steel. The horse bit is very strong and durable. More control: The bit is great if you want more control over your pony or horse and still want to have the snaffle action. Great for petite horses: Most petite horses have small mouths in the range of 4 to 4 ½ inches. The Intrepid Horse Bit at 4 ¾ inches is perfect for a small horse or a petite horse with a small mouth. Not suited for large horses: Both the other bits that we have reviewed are 5 inches in size. The Intrepid Horse Bit is 4 ¾ inch which is comparatively smaller. Though the difference is less, the smaller size sometimes can cause discomfort to your horse’s mouth if you have a large horse. If you are looking for a strong, durable, high-quality bit at a budget price then you should consider the Intrepid Horse Bit. 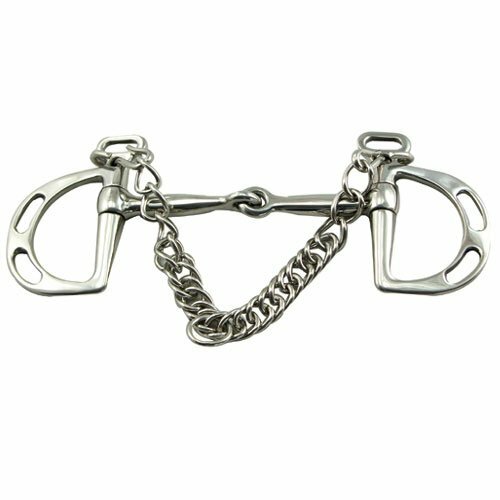 The horse bit gives you more control as you can use it as a snaffle. It is great for petite horses as the size is 4 ¾ inch. 1. What kinds of problems can the wrong bit cause? An improperly fitted bit or one that is too severe can hurt your horse. Pain can cause resentment, rebellion, panic and lots of other potentially dangerous behavioral problems. 2. How do you decide what kind of bit to use? It’s always good to start out with the mildest bit possible. A plain snaffle is a good choice. If this works well, there is no need to change. If not, try the next step up. Avoid excessively severe bits. 3. How do you know the right size of bit? Most of the time, a smaller horse will have a smaller mouth, and bits for sale are usually labeled as being for miniatures or ponies, medium sized and large horses. There are some exceptions as some breeds will have unusually small or large heads. A mule may have a larger head for his body size than a horse. If you have trouble finding just the right size, you’ll need to measure. 4. How do you measure for proper fit? If you are buying a horse and the seller has tack that fits the horse, try to get that tack! Otherwise, measure the mouthpiece of the bit so that you will have a guideline when you purchase tack. If you do not have a well-fitted bit to use as a guide use a length of dowel to measure. Place it in the horse’s mouth as you would a bit and mark the sides with a permanent marker to get a customized measurement. 5. How do you select the right mouthpiece? Basic snaffle bits are typically jointed. Curb bits are typically straight or have a slight curve (port) for tongue mobility. Avoid thin or sharp mouthpieces as these are always more harsh. Go for a rounded, smooth mouthpiece about as big around as your thumb (assuming you don’t have very thin thumbs). For an even gentler bit, look for one that is rubber coated. Try a number of different types of bits and examine and observe your horse closely to determine whether or not your potential choices are comfortable. 6. How do you know if the mouthpiece is comfortable for your horse? Run your hands over every part of the bit to locate any burrs, spurs or snags that might hurt your horse’s mouth. If trying a jointed bit, press your finger against the joint (before putting the bit in your horse’s mouth). Bend it back and forth to see if it pinches your finger. If it does, don’t use that bit. With the bit in place, put your finger in the corner of the horse’s mouth next to the joining of the mouthpiece and the ring or shank. If your finger gets pinched, you know your horse is getting pinched. With the bit in place, carefully check to see if the joint or port of the bit is hitting the roof of your horse’s mouth. If it is, this can cause head tossing and restlessness. 7. What ring shape is best for a snaffle bit? The D-ring is the most popular shape because it is the least harsh. O-rings and loose rings are also good possibilities. If you are able to try each type out, do so. Go with the one that gives you the most control with the lightest hands and that keeps your horse quietest and happiest. 8. How do you know if you need a stronger bit? If you are having trouble controlling your horse, you may need a stronger bit, or you may need better riding skills. If you are a beginner or lack finesse when riding, you should strive to improve rather than introducing a harsh bit. Inexperienced riders can cause a lot of damage with a harsh bit. 9. Which bit is best for training? The mild snaffle is the best training bit as it provides good control without causing pain (in skilled hands), which is very important during an equine training. 10. Why choose a stronger bit? A stronger bit can give you more control, and this is handy in situations such as horse shows, trail rides, parades and other situations that may cause your horse to be distracted and excitable. 11. Should you always use the same bit? It’s a good idea to switch your bit out from time-to-time so that both you and your horse become more skilled. A basic snaffle is good for schooling and everyday riding in a familiar setting. When you go out on the trail or in a situation that may have lots of distractions, a curb bit may provide more control. 12. Are different bits meant for different types of riding? The basic snaffle is typically used for English riding. This is a two-handed riding style. Curb bits are typically used for Western riding. This is a one handed riding style. Curb bits such as the Slotted Kimberwick or the Pelham are often used with more challenging horses due to the greater control provided by the use of a curb strap or chain and the leverage offered by the long shanks. 13. Can you train your horse without a bit? Use of a bitless bridle is very popular these days, and many trainers say that it is the best way to train a horse. It’s a good idea to switch out between different types of bits and bitless bridles to keep your horse and yourself responsive and sensitive. You may decide that you and your horse like bitless riding best of all. 14. Can you show and compete with a bitless bridle? This is not allowed for most competitions; however, in endurance, polo and jumping, bitless bridles are allowed. Horse bits are essential to control your horse. You also need to make sure that the size of the horse bit is appropriate for your horse. As you have seen above, the best horse bit in the market today is the Robart Pinchless Walking Horse Bit with its comfort and pain-free features. If you are looking for a budget horse bit which does the job, you can go for the Intrepid International Jointed Kimberwick Bit. Finally, if you want a strong and durable bit which is gentle and great for horses with sensitive mouths then the Korsteel Copper Roller Eggbutt Snaffle Bit is the one for you. Very important information regarding horse bits! I would have guessed a new set of bits might be uncomfortable at first, but assume that all horses just get used to them over time. Thanks for the info!